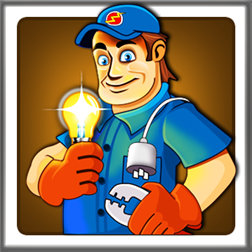 Here is a new fun and free puzzle game on the Windows Phone Store called Sparky The Electrician. Help Sparky get his way through all the messy live wire circuits. An electricity filled action, a game brimming with live current ! Written by: Hyde13 on November 6, 2013.